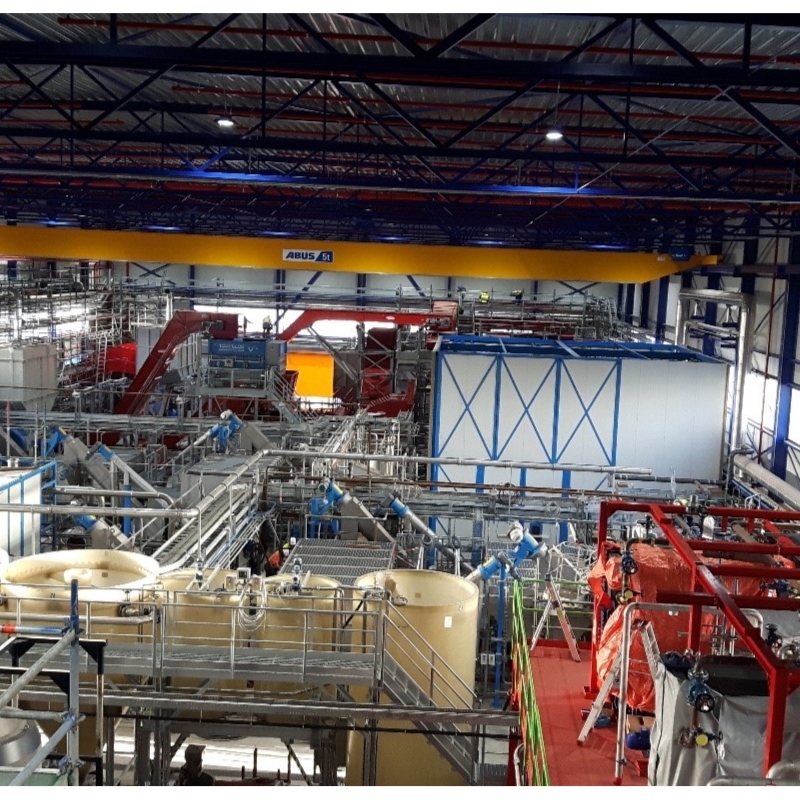 This new plant at our Wijster site has the capacity to convert 24 Kton annualy into high quality LDPE re-granulate. This innovative project involves an investment of over 25 million euros. With the Aganfoils project Attero aims to demonstrate a new upcycling process through which post­ consumer plastic from dirty materials recycling facilities (MRF) can be upcycled into As Good As New plastic. With Aganfoils Attero contributes to the application of EU community environmental policy and legislation, maximizing plastic recycling from municipal solid waste and improving the quality of the resulting reusable regranulate, to ensure these plastics are not landfilled or incinerated. 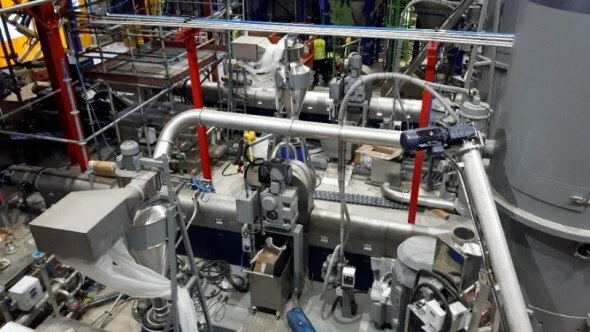 The Attero project focuses on demonstrating and evaluating the innovative Aganfoils technique on a large industrial scale. The process enables the recycling of plastic waste foils from municipal solid waste, particularly low density polyethylene, in the most environmentally friendly and economically efficient way. 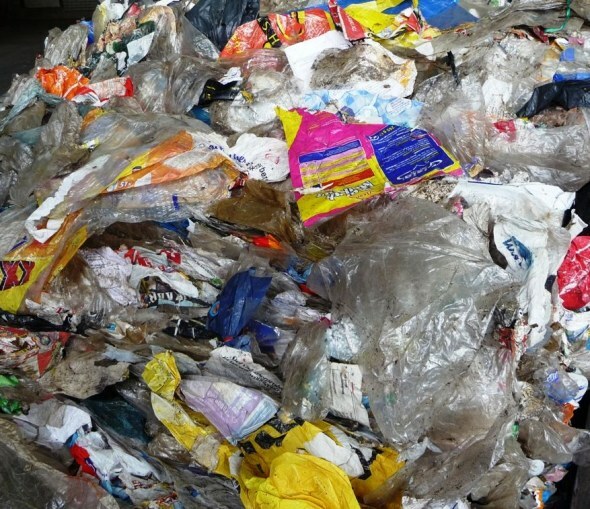 Due to its high level of contamination and specific characteristics, post­consumer plastic foils recovered from municipal solid waste are considered difficult to recycle. Combined with the modular design of the installation, the Aganfoils process at Attero is equipped for future scale up of the technology to attain any desired scale and enhance the EU wide replicability and development of supporting environmental policy and legislation. The Aganfoils project at Attero connects to a number of goals set out in the Roadmap fora Resource-Efficient Europe and the 7th EAP. Furthermore, the project matches perfectly with the LIFE "waste" priority topic. The advantages brought by this project in terms of waste recycling, emission reduction, natural resources and energy will attract the attention of other industries and policy makers. 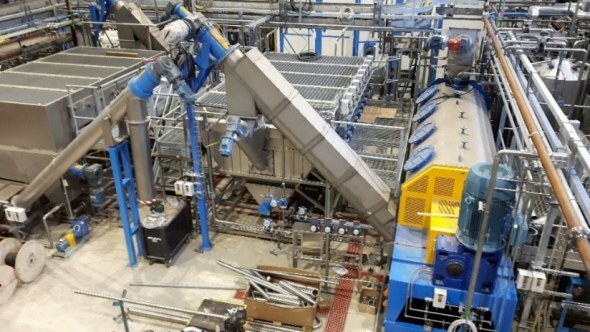 An integrated full-scale innovative recycling process for plastic waste foil (LDPE) at one location in Wijster, with a yearly input capacity of 12.000 tonnes of plastic foil waste, leading to a yearly yield of approximately 7.800 tonnes of high quality plastic regranulate to be used in new products instead of being landfilled or incinerated. Recycling of approximately 9.000 tons of plastic foil waste, leading to approximately 5.900 tons of high quality plastic regranulate during the demonstration process (75% of capacity). Dissemination of all project results to relevant stakeholders such as European plastic recyclers industry, policy makers and national/local authorities, producers of recycled plastic products and general public. This will raise awareness and support market acceptance of the demonstrated Aganfoils process and its benefits. Attero is well aware of the fact that plastic farms an integral part of our everyday life and has become the most common material in the 20th century society. Characteristics such as durability, strength, light weight, flexibility and low cast result in a high usability and plastics can therefore be found in numerous applications, ranging from automotive, packaging, electrical and electronics, building and construction, food and beverages applications. More and more plastic is regarded as an interesting alternative to other materials, therefore it is no surprise that their use has seen a constant rise for more than 50 years. Nowadays, the plastics industry has become an important sector of the EU economy with an annual production of over 57,000,000 tonnes. Due to the distinctive properties of plastic, as well as its growing innovative applications, the production volume of this material will continue to grow. Unfortunately, what makes plastic so useful, also makes it problematic when it comes to its end of life phase. The consumption of plastic results in a significant and continuously increasing plastic waste stream. In 2012 only in Europe a total amount of 25,200,000 tonnes of post-consumer waste plastic ended up in the waste stream. Despite improved plastic waste prevention, preparation for re-use, recycling and separate plastic waste collection, as well as improving plastic design and plastic product design the share of waste plastic that is recycled is only about 26% (2013). The majority of waste plastic in Europe is still disposed of, either through energy recovery (36%) or still by landfilling (38%). Although the recycling rate of plastics has increased over the years, the complexity of waste plastic is expected to increase as well. Furthermore, available recycling technologies are still mostly applicable to well­ defined waste streams derived from source sorting and packaging waste. As a result the European Commission has recently amended several waste related EU Directives (COM(2014) 397 final), in which they propose higher targets for the recycling of different waste streams and materials and specifically includes significantly higher recycling targets for plastic packaging waste (45% by 2020 and 60% by 2025). Moreover the Roadmap to a Resource Efficient Europe states the goal of improving waste management by making better use of resources. In the context of a Resource Efficient Europe, increasing the reuse and recycling of materials is considered a high priority for realising the vision of a circular economy within the EU. The proposed project Aganfoils at Attero contributes lifting the environmental problem and contributes to a more resource efficient Europe by introducing a new plastic recycling technology enabling plastic waste be used as a recourse instead of being landfilled or incinerated. The Aganfoils project focuses on the sustainable and efficient upcycling of LDPE plastic waste foil from MSW streams at the location of Attero in Wijster, the Netherlands, and provides a waste-to­resource solution for the environmental consequences involved in the final steps of the waste management chain, being the disposal and current recycling of these plastic waste foils. To understand the environmental problem targeted with the Aganfoils project, below a description is provided of the environmental impact of the disposal and current recycling method of plastic waste foil. As described before, in Europe the largest part (74%) of the total plastic waste stream is currently disposed of by landfilling and/or the more value adding (but still end-of-life) energy recovery through incineration. After collecting, pre-treatment and sorting the LDPE plastic waste foil is transported to the landfill or incineration facility. Due to the voluminous nature of plastic waste foil, the transportation needs are high, resulting in significant C02 emissions. Landfill not only takes up large areas of land but can also generate bio-aerosols, odours, visual disturbance and may lead to the release of hazardous chemicals through the escape of leachate from landfill sites. Landfilled plastic waste does not emit any greenhouse gases, as the decomposition of plastics exceeds the time span of 100 years (ETC/SCP, 2011). Landfill of waste usually implies an irrecoverable loss of resources and land (since landfill sites can normally not be used post closure for health risk reasons), and in the medium to long term it is not considered a sustainable waste management solution. For this reason, in many countries (a.o. the Netherlands) a ban on landfilling has been put in place. The environmental impacts of incinerating plastic waste can include some airborne particulates and GHG emissions. Incineration of waste-to-energy facilities that are compliant with the Waste Incineration Directive are not thought to have any significant environmental impact. However, in some circumstances, energy recovery of plastic waste in MSW incinerators can result in a net increase in C02 emissions due to substituted electricity and heat production. Attero expects there will also be an environmental burden due to the disposal of ashes and slag. For example, flue gas cleaning residues often have to be disposed of as hazardous waste due to the toxicity of the compounds they absorb. The net societal cast or benefit would of course depend on the alternatives, e.g. the existing power generation mix and the risk of open-air burning or landfill fires. Only part of the plastic waste foil that is recovered from the treatment and sorting process, is suitable for recycling. Due to the contamination a resource-intensive treatment and washing process is required. These recycle processes include several washers, water-based separators, thermal heaters and dryers. Although with a still better balance than the production of virgin material, the energy and water demand for recycling plastic waste foil is significant (for an average process with a capacity of 12 Ktonnes the annual consumption of natural gas is about 4,300,000 m3). The current recycle processes are not able to sufficiently reduce the contamination level negatively affecting the quality of the recycled regranulate. As a result the regranulate does not reach the quality of virgin material and can only be used for lesser applications. 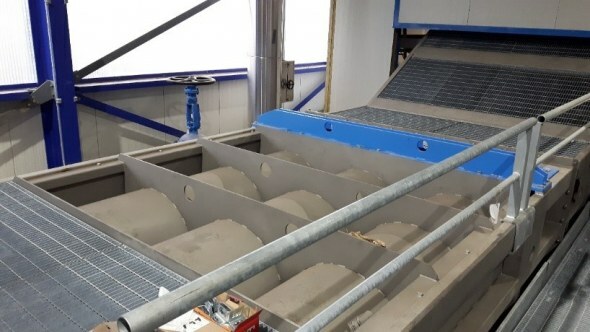 With the Aganfoils process Attero sets out to demonstrate new upcycling process for LDPE plastic waste foil that is to be integrated with Attero's current collection, pre-treatment and sorting facility in Wijster in the Netherlands. By using state of the art equipment in a smart sequence and combining the recycling stage with the already existing process, an integrated waste-ta-resource waste management process is realised. Also, by introducing an innovative hot washing stage to the plastic foil recycling process a higher quality end-product and higher yield can be achieved compared to current plastic foil recycling facilities. The integration on one geographical location at Attero enables the elimination of the transport to an external recycle facility, basically eliminating the transport distances and significantly reduces C02 emissions. The carbon footprint of the process will be reduced by using waste heat and renewable energy coming from the waste-to-energy facility, reducing the need for carbon based resources. The adopted industrial scale approach will improve resource efficiency and have a significant positive effect on the disposal of plastic waste foil. This aligns with Europe's overall aim to improve quality, maximise recycling and re-use and to limit incineration and landfilling to non-recyclable materials as targeted in the Seventh Environment Action Programme (7th EAP) and aligns with the Roadmap for a Resource-Efficient Europe. Low density polyethylene (LDPE) is usually a soft or film plastic with many types of softeners added to make it stretchy, pliable and flexible and is the most common plastic used in packaging. Although abundantly presented in domestic waste streams. LDPE is a type of post-consumer plastic waste that is perceived as difficult to recycle. LPDE plastic film mostly has a large surface combined with a thickness of less than 0.2 mm, which makes it very susceptible to laminating and wrapped in layers upon layers. As a result LDPE plastic waste usually has a high level of contamination, with dirt, organic material, layering, adhesives, etc. requiring it to undergo intensive treatment (grinding, washing, drying) during recycling process. Furthermore, the high level of contamination present causes significant processing issues as well as some negative properties in the finished product, such as odour, discoloration and lesser appearance. As a result, in most countries LDPE plastic waste is used for energy recovery or being landfilled. Although difficult to recycle, there are a limited number of LDPE recycling facilities present in Europe. 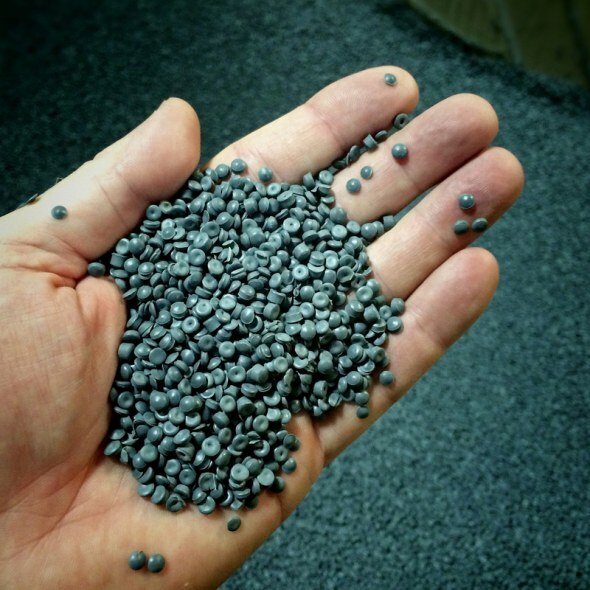 The current state of the art techniques used by these facilities to recycle LDPE plastic waste are based on cold washing methods combined with proven technologies such as grinders , float-sink separators and friction washers. The LDPE plastic waste is shredded into smaller pieces. cleaned, heated and extruded for reuse. Due to the odour and lesser quality of the finished product, LDPE recycle is often mixed with higher grade plastics to reach quality standards or used in low quality products. such as irrigation pipe, rubbish bags, black film and sheeting for the agricultural and building industries. With the current techniques these recycling facilities are able to reach a regranulate with a quality of > 99% plastic. The Aganfoils process will result in odourless, high quality foil regranulate by using hot washing as treatment technology for foil plastic waste streams. So far, hot washing has not been used to treat LDPE plastic waste on a full-industrial scale anywhere in Europe, and/or potentially worldwide. For the first time an integrated full-industrial scale waste-to-resource recycling facility on one location for foils from MSW will be realized, enabling low-cost upcycling with a significantly reduced environmental impact by eliminating transportation needs and use of waste heat. The recovery efficiency is improved, resulting in a finale residual waste stream of 38% due to contamination and moisture. Residual waste streams will be treated on-site. The process is a largely closed looped process in which used process water is treated and reused. The ultimate result is that the foil regranulate reduces the need for virgin LDPE and improves resource efficiency by turning a waste product into a resource. By processing the plastics on site, transport of bales of plastic to processors is replaced by transport of plastic granulate, resulting in very significantly reduced transport movements from Attero to processing sites in e.g. Germany. 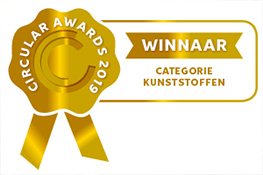 Together with 120 other contestants Attero had applied to win a Circular Award during the National Conference on the Circular Economy which was organized by the Ministry of Infrastructure & Water Affairs and the Ministry of Economic Affairs & Climate and attended by Secretary of State Stientje van Veldhoven and Minister Sigrid Kaag. 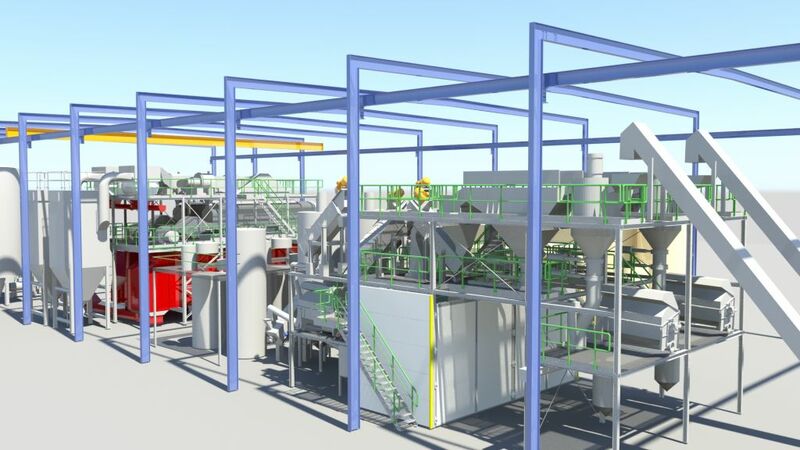 Attero won the Circular Award Business in the category Plastics for Attero’s new Polymer Recycling Plant (PRP, also known as project AGANFOILS). We were therefore asked to pitch our innovation during the Conference to an audience of 700 people from the Ministries, businesses, education and NGO’s. 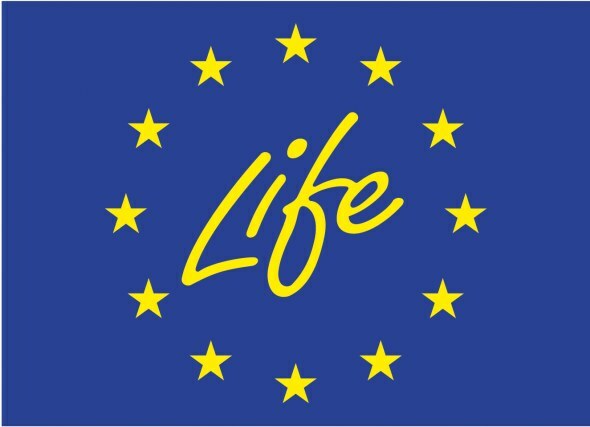 We explained the unique combination of technologies and expressed our thanks for support by the LIFE programme. Since the circular economy cannot be realized by Attero alone, we also explained our new circular project with our partners Pokon Naturado, Oerlemans Packaging, Dow, TU/e en TUSTI to jointly produce compost bags for consumers from the LDPE regranulate from the PRP.